We interviewed our candidates on Saturday and couldn’t pick just one… So we picked 3! Our beneficiaries of the 2nd Annual Superhero 5K are 13 year old Korey Heath from Dover, 3 year old Morgan Schwehm from Russellville, and 3 year old Breya Bunting from Dardanelle. 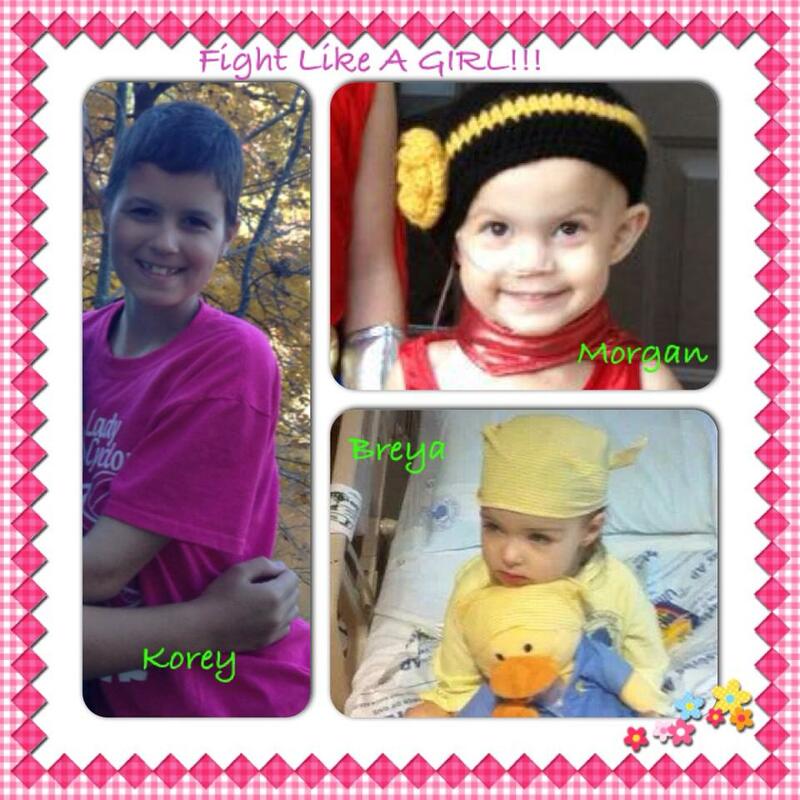 In the spirit of three female beneficiaries, our slogan this year is “Fight Like A Girl”! Stay tuned for the stories and pictures of our girls and more race info! This is wonderful! Thank you for including all three precious gifts from God. In memory of Carter!